Small, medium and large progressive jackpots are on offer 24hours a day with huge sums of money available to be won. 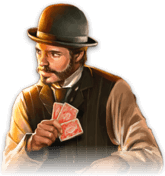 Our classic casino titles like Baccarat, Blackjack, Roulette and Craps are a great alternative for those who prefer traditional casino games. We gift all our players a fantastic welcome bonus when they sign up, but the offers don’t stop there. We also have a range of daily promotions including deposit bonuses, cashback rewards, free spin opportunities and free chips to name but a few. Whatever day it is we have you covered throughout the week and weekend with a selection of unmissable daily casino deals. Every piece of information that you provide about yourself is kept private and will never be given away or sold. 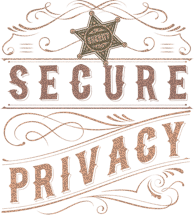 Your privacy is extremely important to us and we are committed to ensuring your experience with us is a pleasant and secure one.